It*s been a very long time since I*ve blogged and it feels great to be back. :) Since the last time we talked/shared a few fun and amazing things have happened. Yay!!! Lol, Also some not so great things, but you never know, in time those instances may turn into something positive... we*ll see. What have you been up to? Something that I*ve been active in lately is the new facebook group for Little Hot Tamale called "Little Hot Tamale and Friends." So far it has been a blast, I*ve met so many fabulous crafters and friends from all over the world. We have a monthly challenge and swap that all the members can participate in. This month we tried to use crepe paper on a project or embellishment. Seriously, I had no idea there were so many cool things we could make with crepe paper, thank you for all the awesome members that have participated so far. 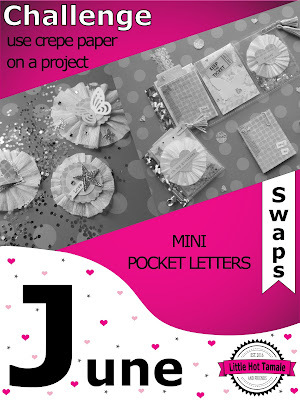 :) As for the swap, we just had our partners assigned for "Mini Pocket Letters." Everyone seems so excited, myself included. 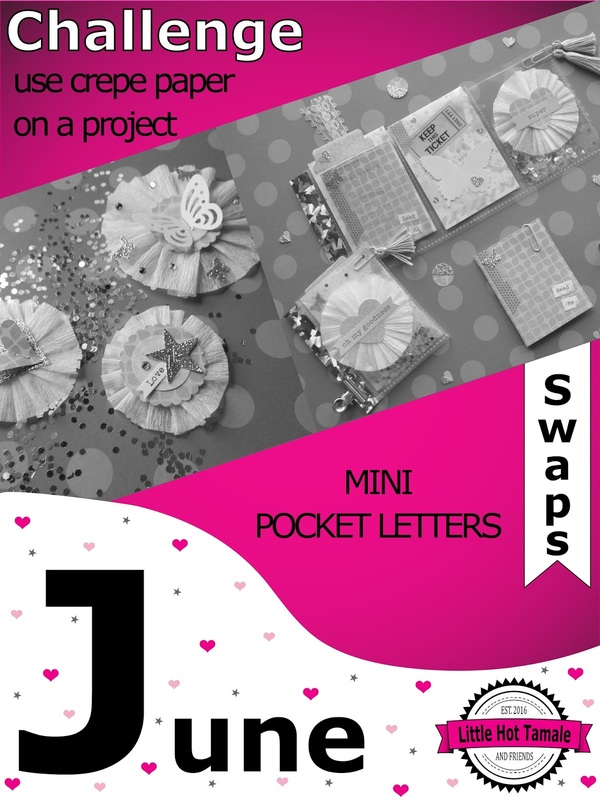 Along with our monthly projects, it is a great community to share and meet other crafty friends. If you have a crafty YouTube Channel or Instagram I encourage all the group members to share their accounts. There is also an area where you can share if you are currently hosting a giveaway on your YouTube Channel. I know this month 3 members are hosting one. :) Ohh... I almost forgot, I also created a fun summer theme free printable to celebrate the new group and summer. I hope to see you there. Here is the link if you would like to join.